If you’re like me and several other Overly Animated readers who have been pleasantly surprised by the rapid rise in popularity of the Disney XD program Star vs. The Forces of Evil, and the show’s season-to-season improvement, then you were as excited as I was to see the promotional teaser released by Disney XD on Friday morning. In the press release attached with the teaser, we were informed that Star would be returning in the form of four episodes stringed together in a two-hour block on Saturday, July 15, with the rest of Season 3 airing some time this fall. The event is entitled “The Battle for Mewni”, and will hinge around Star’s return to Mewni, where a magic-draining crisis is hitting the kingdom hard. The synopsis also says that Star will have to “dig deep” and face off against Ludo during the event. Now, while the show’s title alludes to Ms. Star Butterfly, and the synopsis focuses on our usual protagonist, the 15-second trailer also highlights a rising fan favorite, Star’s mother Queen Moon Butterfly. But let’s try taking this blink-and-you-miss-it trailer frame by frame. We begin with a monster’s foot crushing what appears to be a water canal, or a wet road. We do know that monsters are a race in this dimension, and that they were run off during the War of Mewnipendence, so perhaps there is an angle of monsters feeling a weakness in the kingdom and seeking revenge? Also, as we’ll see from other frames in the trailer, this could also be part of a flashback. We then move on to quick looks at Star’s wand and Ludo’s Toffee-hand wand, both of which are emanating with the same green hue usually associated with Ludo’s magic. Given that Star’s wand is missing the piece held by the Toffee-hand wand, this could be a signifier that Toffee’s magic has become stronger, or that Star’s wand is seeking its other half. 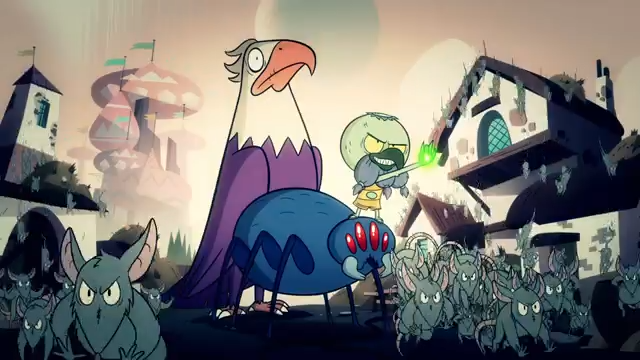 Contributing to this theory of increased power by Toffee, we see Ludo using the wand without having his eyes glowing as we saw in his last appearance during “Starcrushed”. It’s unclear whether this is Ludo carrying out his own plans of an invasion or if Toffee has successfully convinced Ludo to do his bidding consciously. Now here’s where it gets interesting. 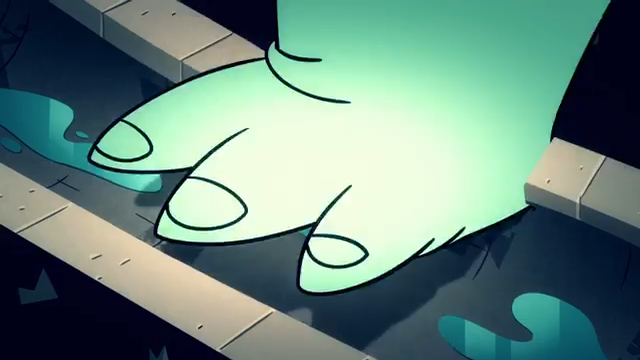 This entire trailer has been narrated with an ominous spell many are theorizing is the same or at least related to the “dark spell” Moon was credited with using to banish Toffee in “Into the Wand”. The spell begins, “I call the darkness onto me”, and also uses the phrase, “To blackest night I pledge my soul”. 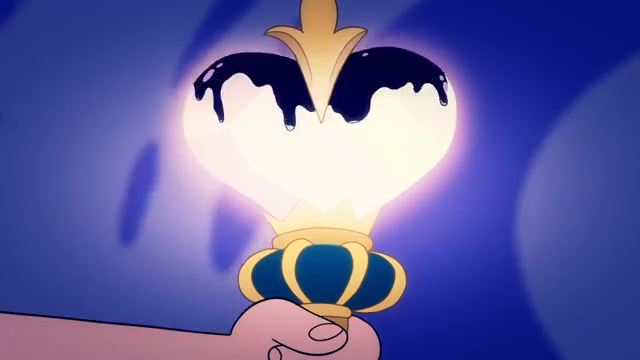 So the fact that we see Moon’s wand being consumed by a blackness makes me very interested to see how dark Moon’s past really is, or what she had to give up in what we presume is her fight against Toffee. 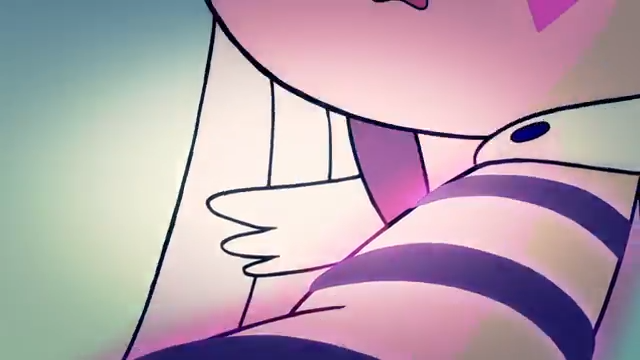 And we end with a young Moon Butterfly, maybe expressing sadness or fear in her frown (the trailer cuts to black before we can see further up her face). This is voiced over by Toffee asking “Have you learned nothing?” So we should surely expect Toffee to use some intimidation and smooth talking, just as he did with Star in “Storm the Castle”. So in the end, it looks like we’ll have a Moon-Toffee retrospective sandwiched by a modern-day showdown between Moon’s daughter and a Toffee-controlled Ludo, with the issue of the magic drain that was alluded to several times in Season 2, particularly in Glossaryck’s visit to the Magic High Commission in “Page Turner”, finally explained. You don’t need me to tell you that now is a good time to begin catching up on Star vs. to fully enjoy what appears the next step in a continuously improving show that some already consider to be one of the best on television. “The Battle For Mewni” will premiere on Saturday, July 15 at 11 AM ET on Disney XD, and will also be available then on the Disney XD app and video on demand platforms.